This summer has been an amazing time for food deals. Each week there’s another unofficial food holiday or promotion going on, so we hope you’ve scored plenty of half price coffee through Starbucks Happy Hour and mountains of free ice cream. But for many of us the most exciting (and delicious) was National French Fry Day, bringing the yay into Friyay with plenty of free fried goodness. 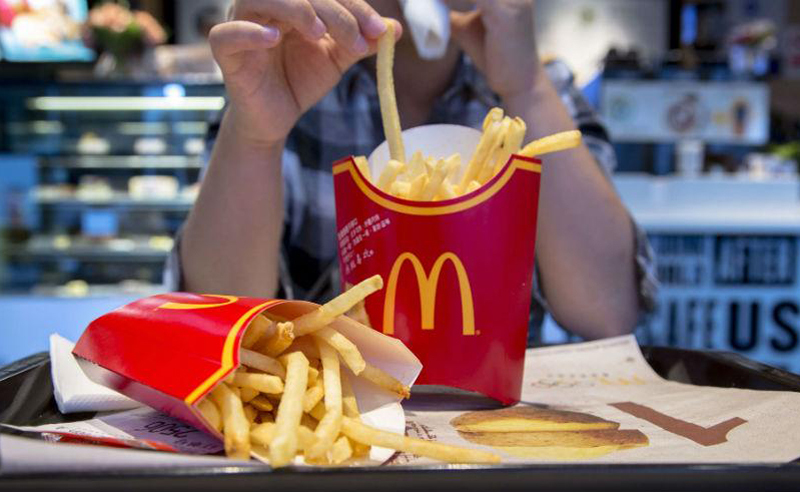 Now one fast food giant wants to give you that same thrill each week, yes, we mean free McDonald's fries every Friday until the end of the year. We’ll wait while you go ahead and do a happy dance, tweet your enthusiasm and lookup your nearest McDonald’s location. You don’t need much more of a reason to love Friday other than the fact that it’s, well, Friday — but we’re not about to turn down free McDonald's fries. Wait, how long can I get free fries from McDonald's? So how do you cash in on this deal for free fries from McDonald's? You do actually have to put in a little work, but it’ll be worth it and you might even be lucky enough to get a baggler. [post_ads]The first thing you need to do is make sure you have enough space on your phone for another app. Free fries at McDonald's are on the line here, so don’t be stingy about freeing up storage. Now go download the McDonald’s app from the iTunes store or through Google Play. Once it’s set up, register for an account to unlock different delicious deals. Consider yourself part of the free McDonald's fries club now. [post_ads]You can browse all the amazing deals offered through the app here. But the one we’re most focused on is this offer of free fries from McDonald's, of course. You will have to spend $1 on something in order to unlock the offer every Friday, but we doubt you’ll complain about pairing those tender golden sticks with a soda or apple pie. The offer started Friday, July 2 and runs through Friday, December 30, so you have plenty of time to cash in. 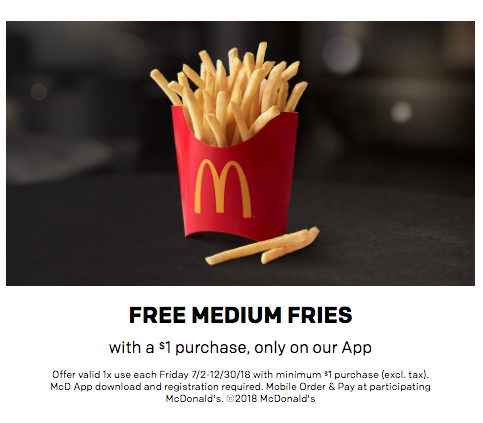 You’ll only get to use the coupon, which you’ll need to access through the app each Friday, once a week (drat), but the offer is for a medium not a small so at least they’re being generous with the serving size. So, have any plans this Friday?